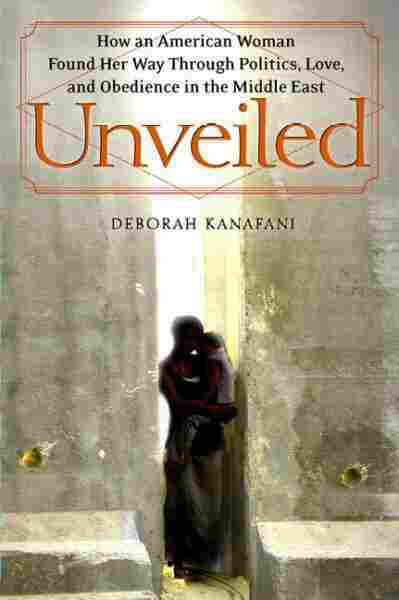 Memoir Unveils Life, Love in the Middle East In her book Unveiled, Deborah Kanafani recounts her marriage and divorce to a high-ranking Palestinian diplomat — and the cultural rift between her "American" upbringing and her married life. My imagination is a gift from my maternal great-grandmother, Fahimi Kirban. She had come to America from Lebanon many years before I was born and lived in a house across the street from my parents on New York's Long Island. When I was growing up in the late 1950s, I spent countless hours with her. There were many things that fascinated me about my great-grandmother, but most of all, I was intrigued by the tattoos traced on her arms by the wandering gypsies of her homeland when she was a little girl. Barely old enough to cross the street, I would run to her house each morning, jump on a chair at the kitchen table, and beg her to tell me the same gypsy tales over and over again. She grew up in a small Lebanese village nestled above the Mediterranean that had been inhabited by sea-trading Phoenicians and, later, the Romans. The Lebanese were said to be descendants of the Phoenicians, giving them an inherent love of travel and trading. Fahimi's father was a simple man who grew fruits and vegetables on his land. He was as solid as the earth under his feet, strong in a quiet way — unlike her opinionated mother, who did most of the talking for both of them. Her mother had been assigned to her father in an arranged marriage and, like Fahimi, had been cursed (or blessed) with the restless Phoenician spirit. She was a sturdy, capable woman who would have done well working the land if she had so desired. Instead, she spent her days listening to stories of people who had left for America from those who'd remained. She shortened her name from Anastasia to the more American-sounding "Annie," making it easier to imagine herself in the land she longed to visit, so far away. Fahimi shared her mother's imagination, and her mind often wandered while she did her daily chores. She took her pet donkey to the nearby springs each morning and gathered water in old clay pots. She then passed by the family orchards to gather the ripened apples and sweet pomegranates, placing them in her donkey's harness. On occasion, while picking fruit, she heard the music of the gypsies. She knew the people in her village despised them: they were rumored to steal fruit, and the villagers feared that one day, they would even steal their children. But Fahimi was entranced by the sounds of their handmade instruments, and instead of walking home, she often changed direction and wandered up the hills to watch the forbidden gypsies. She loved the sight of their fabrics, painted in fuchsia and gold, that hung over their shoulders. When they saw their shy little visitor approaching, they greeted her, eyeing the fruits that she was supposed to carry home. Fahimi was fascinated by the gypsies' hands, both young and old, decorated with tattoos of serpents and flowers, stars and half-moons. She silently watched them reach into her baskets. They held the shiny apples while looking at her, indicating that they would trade the fruit for her very own tattoos. After a few intense, silent moments, she would nod in agreement. And so they put pots on the fire to boil the color out of berries and barks, creating a palette. The band gathered around as the elder gypsy women told tales while inscribing exotic flowers in strangely shaped vases on her inner arms. When they finished, they took turns admiring their work. As she got closer to home (and to the spanking she knew would come), their music faded, but not the memories. Years later, when Fahimi's father was caught courting another woman, Annie packed up Fahimi and her siblings and set out for America — but not before taking a trip up the hills with Fahimi and getting two small roosters tattooed on her own chest. Eventually she became a successful entrepreneur in America, selling linens and fabrics from all over the world: she bought one of the first cars and hired a chauffeur to drive her from house to house to see her customers. She sold everything for a nickel, and thus her name became Annie Nickels. I wanted to be like Annie and Fahimi when I grew up. I studied Fahimi every day: I watched her walk in her gardens, tending to her Japanese lace maples, her grape vines, and her roses as she kept a close eye on the bulbs she had planted, waiting for them to bloom in the spring. Many people came to see her roses — she even won awards for them — but I always liked the bulbs, living quietly in the darkness until they were ready to bloom. I felt like them, safely hidden just under the surface, blossoming only under her watchful eye. Fahimi had six daughters in addition to my grandmother and no sons. They were strong, tough women, confident and grand. I was wrapped in a cocoon of feminine energy. They all argued a lot, because they were opinionated, but they always left with warm hugs and kisses. No one argued with Fahimi. She was the matriarch, and she was my closest friend. In the evenings we went to the untouched bedroom of her youngest daughter, Naomi, who had died in childbirth before I was born. We sat in the dark and looked out the window at Fahimi's favorite weeping willow tree as it swayed in the wind. Naomi and her child died at the same moment. For a short period of time, she was laid out in this bedroom, wearing her wedding dress, with her baby in her arms. At night her husband came to the room and rocked his lifeless baby in a rocking chair. They say he went crazy and was never seen again after the burial. As I sat on her lap, not letting on that I was looking at Naomi's picture more than I was looking at the weeping willow tree, I couldn't help thinking that I looked like Naomi, and I wondered if Fahimi thought the same. She rubbed my back with her calloused hands, rough from her work in the garden, and I felt a strange safety despite my eerie surroundings. My time with her was serene and charmed, unlike the discord in my parents' home. My parents met when my father was finishing law school. He didn't have a large family like my mother; in fact, he knew only his mother. His mother and father had left Lebanon when she was pregnant with him and went to Mexico, where he was born. From there, his parents decided to come to the United States separately because it was easier for a woman alone with a child to gain entry. She settled in the Lebanese community in Brooklyn when he was seven. They never saw my grandfather again. Many years later they found out that he had been killed in a brawl while crossing the Mexican border. My grandmother and father stayed with nuns she had known from her village, and she worked in a factory. They struggled financially during his childhood, and so my father yearned for a bigger life; he was ambitious, with huge dreams. Mutual family friends had invited him and his mother to my great-grandmother Fahimi's home for a party. He was twenty-eight at the time, and my mother was eighteen. Used to living in Brooklyn, my father kept commenting that my great-grandmother's gardens made him feel as if he was in Hawaii. Evidently that day, he charmed three generations of women, from my mother to my great-grandmother. My mother married him a few months later. I was born the next year, and my brother, Mark, followed just thirteen months later. It was the late 1950s, and my mother, a typical housewife of the era, was happy with her life, and she didn't share my father's glamorous ambitions. After my father established his law practice, he moved us a few blocks away into an imposing house that sat on top of a hill. It was constructed with large stones and had a porch in the back overlooking the woods. I know there must have been lights in my parents' house, but I remember it only as dark. Their marriage ended abruptly one evening shortly after we moved. I was six years old. I always waited for my father to come home, and as soon as he opened the front door, I would run to him fast enough to feel as if I was flying. He always managed to grab me at just the right moment, lifting me up as high as he could, helping me take flight. He had that kind of power to me: he could make me feel that anything was possible. I didn't know my mother was waiting for him on this particular evening. She had found evidence of an adulterous affair, so when he arrived, they exchanged angry words. I didn't understand; I knew only that something frightening was happening. I panicked as he grabbed some clothes and headed toward the door. My mother and I were both crying, and she ran to her room. I ran to the door, calling him, but he couldn't hear me. I saw his car's taillights vanish in the distance, and I felt a void so deep that all I could do was scream. He was gone for only a few days before visiting my brother and me, but those few days felt like an eternity. My mother packed up our belongings, and we moved to a small house in another town. My maternal grandfather came to stay with us and help her. She was young and had no way to support us, aside from the little help she received from my father. He often picked us up in his big convertible Cadillac and took us to the park. He acted as if it was a coincidence that he always ran into the same beautiful woman with teased red hair each time we strolled by the duck pond. My mother remained angry at him for breaking up the family and having her dreams shattered. Within a year, my father married the woman he used to meet in the park, and my mother married a handsome former Marine who was devoted to the family life she craved. She cut my father out of all the family pictures and tried to make believe that he didn't exist. We moved to Long Island, into a neighborhood called Island Trees mostly composed of World War II veterans. Our closely knit neighborhood was home to solid people with old-fashioned values, who became our extended family. Our neighbors were our "aunts and uncles." There were no luxuries. Our life was simple and full of routines. My mother liked to cook an early family dinner, and afterward the neighborhood kids would gather in our yard to play. It was a stable and predictable life, worlds away from the decadent life my father was living in a nearby town. My parents spent a great deal of time battling for custody and disagreed about every detail of our upbringing, my mother wanting us to be in her world and my father in his. Half the week, I lived in my mother's world. I spent the other half in my father's domain, in one of the most spectacular homes in Kings Point on the Long Island Sound — the land of extravagance that so inspired F. Scott Fitzgerald in the 1920s. We had a full staff, including a chauffeur who drove me to my friends' house. When my father first drove me to the home in Kings Point, he looked at me in the rearview mirror and said, "Kid, I'm taking you to the stars." I was torn between two people who had an undying dislike for each other, and I never really felt that I belonged in either place. To say I lived at one parent's house meant that the other parent would be angry. My real home became internal, a place inside me, protected. My parents' battles continued for years, and I was caught in the cross fire, trying to figure out how to keep both parents happy. I sat through several courtroom custody battles as my parents stared at me and the judge demanded to know with whom I wanted to live. Inevitably someone would end up hurt. When we weren't in court, I was playing the mediator in this chronic state of war. I was certain about one thing: my father adored me. He had three more sons with my stepmother, and I was his only daughter. They dressed me up and took me out to the finest restaurants in New York City and to plays and ballets. He was a charismatic man who charmed everyone and made us laugh all the time. He held huge parties at his home, and his childhood friends from Brooklyn came with their children. Everyone stayed for the weekend, listening to the music of Frank Sinatra or being entertained by hired belly dancers. It was a nonstop whirlwind of fun. At the hub was the hero of it all, my father. To him, this was life: having enough wealth to be in the spotlight, the world revolving around him. My father not only loved to be the center of attention, he needed to be. And he was good at it. He told stories about fantastic trials and hour-long summations that had persuaded his juries. On occasion, I went to court and watched his trials. I was intimidated by his ability to destroy someone on the witness stand and shoot me a smile just moments later. When he wasn't entertaining at home, he was planning exciting vacations. I remember bringing a friend on a trip to the Bahamas when I was twelve. While we were out on a private diving boat with several instructors, my father dropped his small cigarette holder overboard — and then hired divers to find it. The next day he didn't like the lounge chairs by the pool, so he had special chairs flown in from our house on Long Island. When we returned home, my friend told everyone at school what happened. This was the first time I realized how unusual his behavior was. I went to live with my father and stepmother when I entered high school. My father had convinced my mother that it was best for me to attend a private high school near his house. He had always wanted to oversee my education. On the weekends he sent me to New York University for additional courses in art history and literature because he wanted me to be knowledgeable about current events and culture. As he told me, he wanted me to be an intelligent wife and a good conversationalist at a dinner party. He hadn't considered that I could have a life and use my education for purposes beyond complementing the professional aspirations of a suitable husband. He used his own education in the law to figure out how to get around it. He wanted to make his own rules. He told my brothers and me not to bother getting driver's licenses and urged us to park in illegal spots. One day I saw yellow paint in his trunk, and when I asked about it, he told me that the curb outside his favorite restaurant was painted red, indicating that parking wasn't allowed. He decided to paint it yellow in the middle of the night so he could park there. He didn't want us to save money or do anything that would give us any independence. He expected us to support anything he did. If talk of my brothers' future came up, the idea that any of them might not work for him was unthinkable. He wanted us dependent on him — or in trouble so he could save us. Toward the end of my high school years in the 1970s, he began to take his career in a new direction. It started when a man who had been accused of theft wanted my father to defend him. The man had been working at a car dealership, selling nonexistent warranties to car buyers. My father thought this concept was brilliant, and so he adapted the idea but did it legitimately. He contacted auto manufacturers and invited them to his offices to tell them all about "his" new extended warranty program. To prepare for the meetings, he arranged for the other tenants in the building to allow him to break through the walls between their offices and his. This way, it appeared that all the offices were part of his company. He hired actors to fill the desks, and he had my brothers and me hard at work in the downstairs lobby, calling the "offices" over and over again so the phones were ringing. The auto manufacturers loved it and signed on for his programs. He was building an empire overnight. It would come to be called Republic Warranty, which thousands of car dealerships used and ultimately gave him the empire he sought. He soon had more than 500 employees, and with this success came more grandiose behavior. He loved having so many people to control. I attended one large meeting of new executives without letting on I was his daughter. At one point, when he left the room, they began telling one another that the first names they had used to introduce themselves during the meeting weren't their actual names. They all said my father had told them there were too many people with their name in the company, and he assigned a new name for them to use. The men were perplexed, but I knew my father had done this just for the pure enjoyment of knowing that he could. Meanwhile, I took an apartment in Manhattan and enrolled at the New School for Social Research. I was studying psychology and obtained an internship that allowed me to help start the first shelter for battered women in New York City. I helped the women and their children get settled in apartments the shelter provided for them at the Henry Street Settlement in Lower Manhattan. I enjoyed the time I spent with these families more than I enjoyed the world of superficial people who surrounded my father. When I was honored at my school at a luncheon with 200 people, my mother and stepfather, always supportive, attended. My father, as usual, was too busy and made no effort to come. I knew he adored me and would light up when I walked in the room, but I craved something more from this elusive man. My father relocated to California with my stepmother and their three young sons while I was still in college, moving into one of the fabulous Rat Pack houses in Palm Springs. I stayed in New York to study. In addition to my class work, I attended the Gestalt Institute and the Rational Emotive Institute and explored new theories of humanistic psychology. I was trying to make sense of my bizarre upbringing, I suppose. My father continued his decadent lifestyle in California until he was again caught having an affair, and my stepmother and he divorced. He began traveling more to New York and often took my friends and me out for dinner and to private nightclubs. My friends adored him and all his charisma. There were few other people who were as much fun or as entertaining as he was, and I had become so used to his grand gestures that other men's lives seemed mundane. That is, until I met the prince. From Unveiled by Deborah Kanafani. Copyright © 2008 by Triptych Productions LLC. Reprinted by permission of Free Press, a Division of Simon & Schuster, Inc.